Our vision is to support academically high-performing students from lower-income families in their pursuit of higher education opportunities. Our wish is that we may cause sponsored students to make or affirm their decisions to pursue a college degree and then assist them in preparing for and applying to their target schools. Financial Services: will include direct scholarships as well as assistance in applying for grants or scholarships provided by colleges/universities and other 3rd parties and assistance in obtaining summer jobs or college internships from participating corporate donors. Support Services: will include assistance leading into and throughout the college application process, beginning with SAT/ACT test preparation, admissions essay writing, target school identification, application to and responses to target schools; continuing with campus visit preparation and eventual selection of a college of choice. Support Services may also include preparation of high-achieving athletes for college scholarship opportunities. These services may include: athletic training and skills development to reach higher levels of individual performance, preparation of junior year/senior year highlights videos for presentation to target school coaching staffs, and development and implementation of sponsored student marketing plans to introduce our students to these coaches.  Sponsored students will be recipients of these services from A Step Up to Achieve Inc. There will be no charges for these services nor expected donations to our organization from students’ families. Lastly, our role involves continued mentoring of sponsored students – throughout their college experience. A Step Up to Achieve Inc. is therefore quite different from other organizations that only provide initial scholarship awards. We plan to “always be there” for our sponsored students.